Unexpected good news is the best kind…. 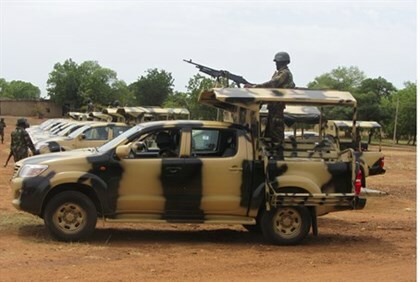 Nigeria’s army has rescued 200 girls and 93 women during a military operation to wrest back the Sambisa Forest from the Boko Haram Islamist terrorist group, Reuters reported on Tuesday. “Troops this afternoon rescued 200 girls and 93 women from Sambisa Forest. We cannot confirm if the Chibok girls are in this group,” the army said on Tuesday, adding Nigerian troops had also destroyed three camps run by the terrorists there. Boko Haram kidnapped more than 200 schoolgirls near the northern village of Chibok in April 2014, causing an international outcry. Diplomats and intelligence officials say they believed at least some of the girls were being held in the forest about 100 kilometers (60 miles) from Chibok, although U.S. reconnaissance drones failed to find them. Next Next post: Horror Movies: A Mood, or a Series of Tropes?